Many people have trouble with excess fat in the body, but keeping a strict diet and having regular exercise may help you lose weight. However, some body areas need specific workout to lower the fat rate. 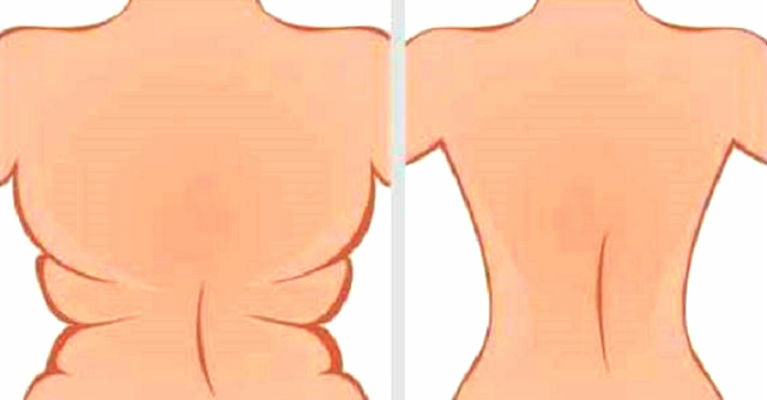 The underarm flab and the back fat are the most challenging body areas and for that reason many people want to give up. But there are numerous health and aesthetic reasons why you should target these muscles. You can solve the problem if you hire a personal trainer or you attend to the local gym classes. But these solutions can be expensive. That is why we will present you some exercises that you can practice anywhere and anytime. No money or equipment needed. Do them for few weeks and the results will amaze you.